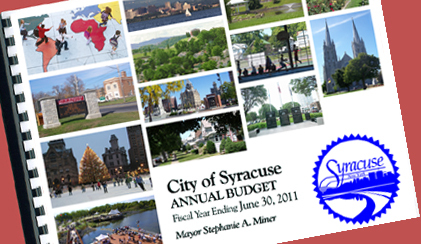 The Office of Management and Budget prepares and administers the annual budget and a six-year capital program. The Office develops and administers the City's energy, telecommunications, and technology policies. The Office performs management and productivity improvement studies for all departments, manages and tracks in conjunction with the Finance Department all serial bond issues, prepares recommendations concerning fiscal policy, budgeting, and staffing, and establishes operating procedures. Also, the Office of Management and Budget provides support and assistance to the Office of Personnel while negotiating contracts with the various bargaining units and recommends actions on the filling of all positions that become vacant.